If you suffer with back pain, carpal tunnel syndrome, shoulder injuries, knee injuries, neck pain headaches, numbness tingling, painful joints, sleep loss, bursitis, sports related injuries, work related injuries, or injuries resulting from an car accident in Dallas or the surrounding cities, we can help you access the full range of treatment you need to improve your quality of life and get more health back into it. 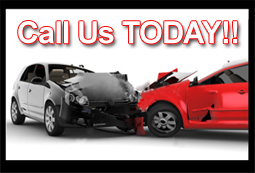 Been In An Accident In Dallas? We believe that being healthy means more than being pain free—it is the ability to do what you need and want to in regaining quality of life through receiving treatment for your condition by health professionals of your choosing. Health professionals in our Dallas network provide Chiropractic Care, Physical Therapy, Massage Therapy, and Car Accidents injury care in Dallas, to help Back Pain and other joint pain injuries. So when I was in a car accident in Dallas, things got really ugly for me. I had been rear ended and my back and neck were hurting me after the accident. So much so that I started to worry. I had consulted the MD after and all he prescribed me were pain meds. First thing, I am only into naturopathic medicine and the idea of taking any sort of drug got me worried out of my mind. But I took them to get rid of the pain. After I took the meds for a week, the pain was still there. I didn't know what to do about covering my bills from the doctor or how the insurance even worked. So I did some searching and found OHC, with one call they provided me with treatment for my back and handled all my insurance information, and even set up a lawyer to handle my case. I didn't pay anything for what they did for me. They told me what they were doing and what to do when you are in a car accident. With treatment my back and neck pain lessened. They assisted me out through this troubling time.